Repairing uneven concrete is much more economical than replacing your concrete. Don't ignore your uneven concrete. The longer that you put off a problem, the more money it will cost to complete the repair. 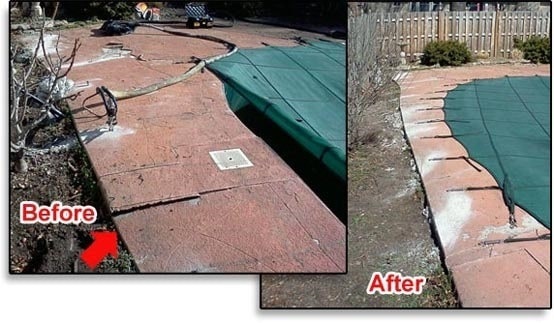 Let the professionals at Polyjacking.com, the concrete leveling division of Pro Foundation Technology, help with your uneven concrete repair. The longer you let uneven concrete go, it will get to the point that the only repair is concrete replacement. At the first sign of uneven concrete, let the professionals at Polyjacking.com give you a free inspection and answer any questions you may have. We use the latest poly equipment and material to stabilize and level your concrete back to normal. Polyjacking.com is a division of Pro Foundation Technology. We are a family owned and operated business and have been in business since 1978. We are a long-time member of the Better Business Bureau and Home Builders Association. We have worked hard to earn a good reputation with the people and businesses that we work with. 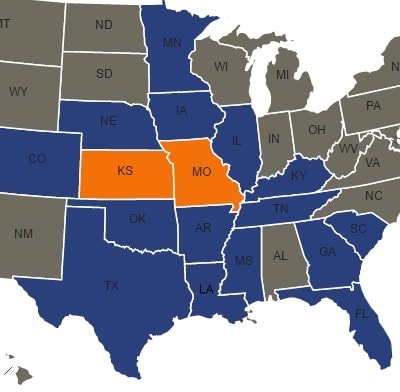 We have a large service area that includes Kansas City, KS, Overland Park, KS, Columbia, MO and many more cities throughout Kansas and Missouri. Don't let your uneven concrete become an even larger issue. Contact Polyjacking.com today for a free estimate. Let us give you the most cost-effective solution for your concrete leveling needs.